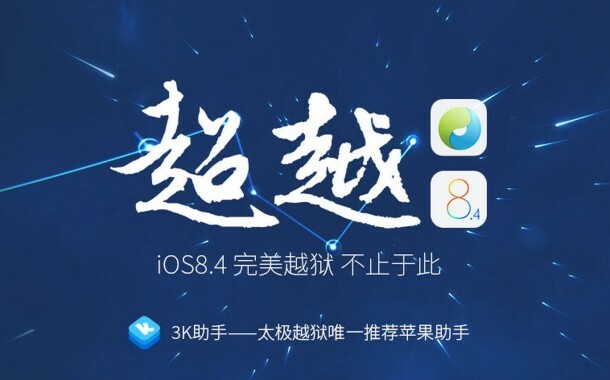 Jailbreak fans who updated to iOS 8.4 may be excited to learn that TaiG has released an updated version of their jailbreaking app to work with the latest version of iOS for compatible iPhone, iPad, and iPod touch. The latest release, versioned as TaiGJailbreakTool v2.20, works to jailbreak all devices that can run the most recent version of iOS, installation and usage is otherwise identical to the prior TaiG version. The TaiG jailbreak for iOS 8.4 is currently only available for Windows, but it can be run in a Windows virtual machine or Boot Camp on Macs. Jailbreaking an iPhone, iPad, or iPod touch is generally best reserved for advanced users who have a compelling reason to modify the system software on their devices. The process is entirely unsupported, and Apple will not support jailbroken hardware, and doing so may void an eligible warranty of devices. There are other reasons not to jailbreak as well, but ultimately it’s up to the user to decide what to do. Jailbroken users on iOS 8.3 will apparently need to update to iOS 8.4 before using the new TaiG release. There is no known specific timeline for an OS X release, but one is supposedly in the works for Mac users to run natively. I jailbreak so that I can tether for a one time fee rather than a monthly fee. Don’t tell me how to use my data! There’s the option to use TetherMe (i use this), or MyWi which is also highly recommended. i have ALS, lou gehrig’s, and used the JB ever since the 3G. I need veency otherwise I can’t use my ipad or iphone. I want to install tetherme, but if I do will I get in trouble with my carrier AT&T for using the mobile hotspot?